Jacques de Molay, the master of the Knights Templar, 1244-1314 years. Jacques de Molay (1244 (50) - March 18, 1314) - Twenty-third and last Grand Master of the Knights Templar. In 1265, Molay was devoted to the Knights Templar. Since 1275 participated in the campaigns of the Order of the Holy Land. In 1292-93, when the Templars had already left Palestine, was elected Grand Master of the Order. Since leaving Palestine in the Order was no longer his main goal - the struggle for the Holy Land. In Paris, where was the seat of the Order, began spreading rumors that during the secret ceremonies of the Knights Templar committing lewd and blasphemous rituals that the Templars engaged in witchcraft and devil worship. In 1307, the French King Philip IV began against the Order of the trial. Enlisting the support of Pope Clement V, Philip took custody of the Order of Master Jacques de Molay and all of the Temple, who lived in France. Almost all the property of the Order passed to the royal treasury. Templars confessed under torture, of blasphemy and devil worship. In 1312, Pope Clement V dissolved the Order, ordered the arrest of all its members in all countries and gave the rest of its values on other spiritual chivalry orders. Most of the prisoners of the Temple were thrown into prison, the chief of them - were burned as heretics in 1314 in Paris. According to legend, the Mole at the stake cursed the king, my father and others of their persecutors, and their quick death and rumors surrounding the activities of the Order, became a source of legends about the mysteries of the Templars, aided by secrecy orders and custom to keep secret its internal structure. 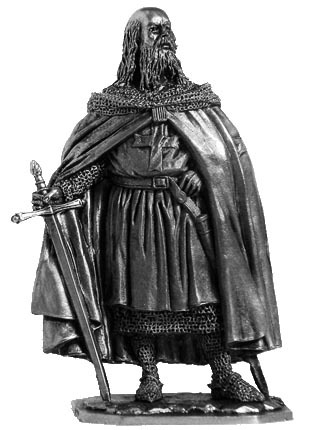 Notify me of updates to Jacques de Molay, the master of the Knights Templar, 1244-1314 years.